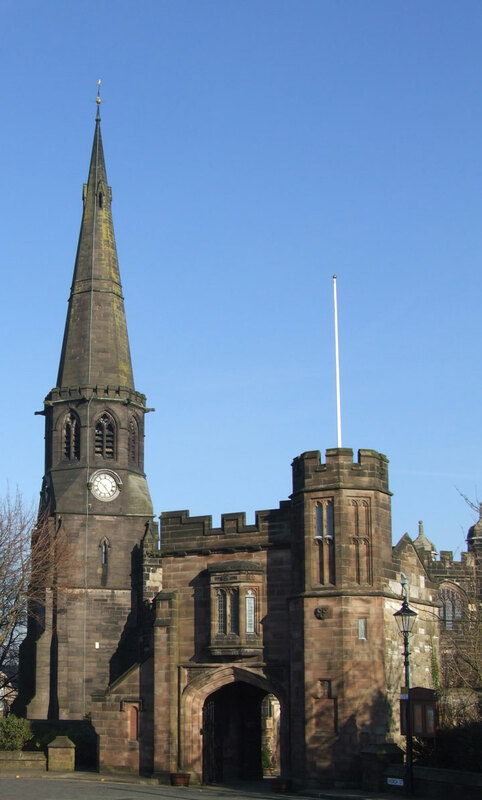 Standish Parish Church has always been noted for its fine bells and good ringers. As early as 1552 there were “three great bells and three sacring bells”. At the time of the 1580’s rebuilding the existing medieval tower and spire were retained. however in 1814 the spire was badly damaged by lightening and in 1822 finally blew down. the replacement of this spire was badly designed and built out of proportion to the church. In 1867 it was decided to build a new tower and spire (as seen above). In 1913 hour and quarter hour chimes were added to the clock, which has only three faces, the gift of Mr J M Ainscough. 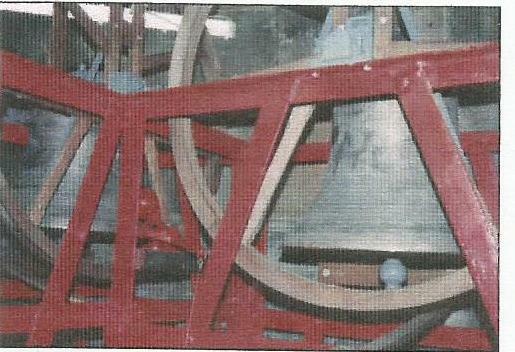 In 1714 at a Parish meeting it was agreed to raise money for the correcting and making of four new bells. This was undertaken by Abraham Rudhall of Gloucester, a famous bell founder; money was also collected for a fifth bell. On one of these the names of Churchwardens James Blundell and Ralph Low are inscribed. James Blundell was a tenant of Ralph Standish and followed him in the Jacobites cause to Preston at the time of the 1715 Rebellion, where the Jacobites suffered defeat. For his participation James Blundell was executed and it is ironic to think that the new bells, one of which bore his name, were rung to celebrate the downfall of the insurgents. Ralph Low the other warden accounted for the spending of the Parish money and included the item: “Paid the Ringers at Preston fight, 5 shillings”. Those bells all bear the initials of Abraham Rudhall and display the figure of a bell between the A and the R. Weight, diameter and date is also recorded on each bell. 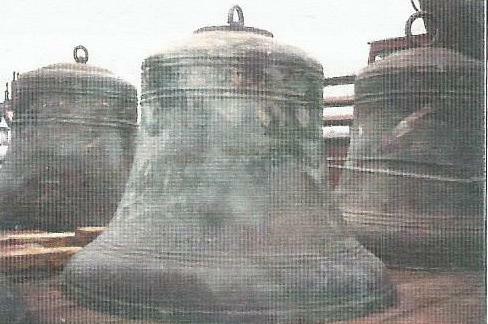 These five bells are now the third, fourth, fifth, sixth and seventh bells. A smaller bell (now the number one) was added in 1846, inscribed C and G Mears, founders, London. 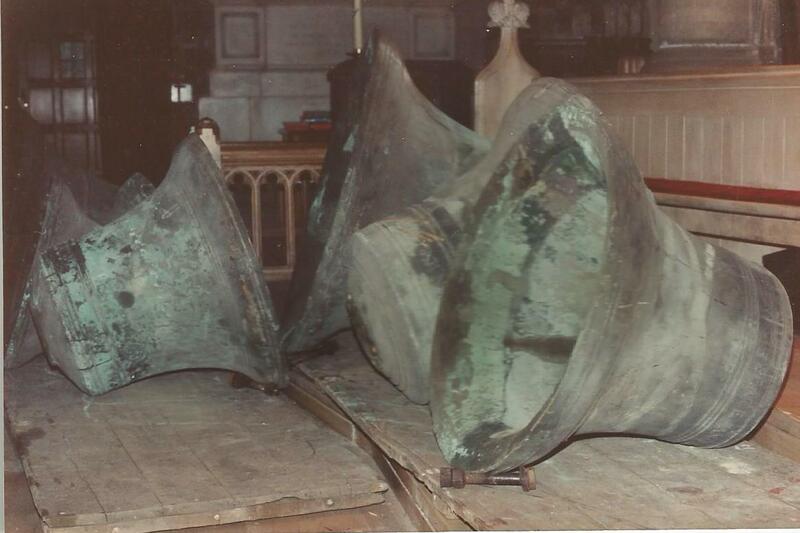 The new treble bell (1913) was the gift of john and Margaret Pendlebury, formerly of Highfield House. The tenor bell (1913) was the gift of the late N & E Eckersley, formerly of Standish Hall. The eight bells were dedicated on May 10th 1913. 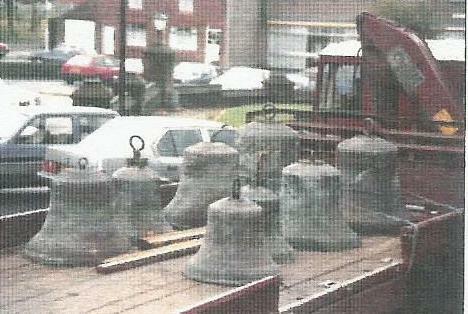 Here are some photographs from last time the bells were removed from the tower and recast and then rehung. A tablet under the tower commemorates the recasting of the bells at Whitechapel Foundry, London in December 1989. This re-casting was made possible by a legacy from May Parker and by many generous gifts from many friends of St Wilfrid’s and from the Lancashire association of change ringers. The cost of this tablet was met from donations in memory of Ken Brown. Bell ringing – Is it for you? If you have ever listened to the bells at St. Wilfrid’s ringing on Sunday for services, or on Tuesday nights when we practice, or for other special events such as weddings you may have thought . . . “I would be interested to know more about how the bells work”. If so then check out our Bellringing article under the heading Organisations which will give you lots of information and also contact details if you want to speak to one of the ringers. We are a very friendly group and always aim to give visitors a big welcome. St. Wilfrid’s Bellringers take to the road! On Saturday 1st March the ringers of Standish went on a training trip to three churches in the neighbourhood.